At 3pm last night undercover Franklin Police Flex Officers witnessed Antwuan Ayers, of Decatur, AL, put several items of clothing from CoolSprings Galleria’s Crazy 8 into a shopping bag and up his jacket sleeve. Officers also found a “shopping list” on Ayers. Career thieves are often found with these types of lists, containing orders from others intending to buy the stolen merchandise. $355 in stolen merchandise was recovered from Ayers, who was charged with Theft. He is free on a $2,500 bond and due in court 01/07/2016 at 1pm. Just two hours later, undercover FPD Flex Officers watched Ashleigh Cox and Shaquita Fitzpatrick, both of Nashville, stuffing merchandise from Crazy 8 into a stroller (with a child inside), and in their jackets. Officers located additional stolen merchandise from the Galleria’s Hollister and American Eagle stores, along with stolen goods from Old Navy and Babies R Us in their vehicle. In all, more than $2,000 in shoplifted merchandise was recovered in this incident. Also found in the vehicle was a “shopping list” containing sizes and stores, assisting the women with knowing which items to steal from what stores. Cox was charged with Felony Theft, Possession of Stolen Property, and Unlawful Possession of an Anti-Theft Device Removal Tool. She is free on a $6,000 bond. 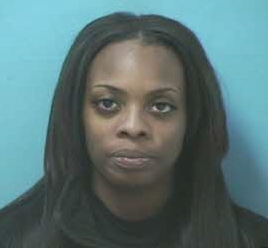 Fitzpatrick, free on a $5,000 bond, was charged with Felony Theft and Possession of Stolen Property. Both women are due in court 12/31/2015 at 1pm. 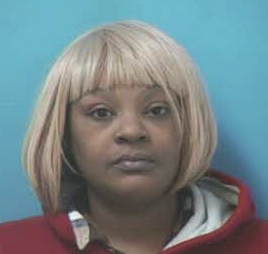 At the same time, another group of undercover Franklin Police Flex Officers watched Tameka Crutcher, of Huntsville, AL, steal several items of merchandise from Victoria’s Secret in the Mall. 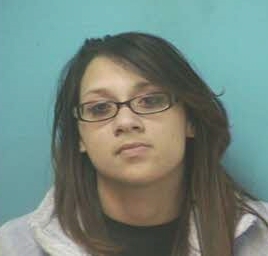 In addition to the $320 in stolen Victoria’s Secret merchandise officers recovered, they found $2,300 in eyeglasses she had stolen earlier, from LensCrafters, inside of her vehicle. 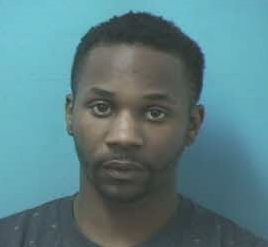 Crutcher, charged with Felony Theft and Possession of Marijuana, is free on a $25,000 bond. She is due in court 12/31/2015 at 1pm. 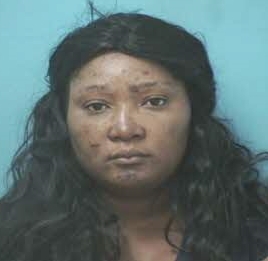 Ten minutes later, at 5:10pm, officers were summoned to the nearby Kohl’s at 300 Spring Creek Drive, where security spotted 31-year-old Mickesha Malcolm, of Brentwood, concealing merchandise. Thirteen items, valued at more than $600, were discovered concealed in Malcolm’s purse. Malcolm, charged with Felony Theft, remains jailed on a $15,000 bond. Franklin Police have a stern warning for shoplifters: If you steal in our City, you will be caught and arrested. Franklin Police continue dedicated undercover operations, especially in the Cool Springs area, to detect and apprehend criminals in our shopping districts. The zero-tolerance op, combining marked and unmarked patrols, continues through the remainder of the Christmas shopping season. Great job by our law enforcement officers. All this theft increments the price of goods to law abiding people. Thank you for the great job you are doing! We appreciate your dedication and diligence!